The Forex market is an uncentralized area where no actual marketplace exists for the trader and where there are no “standards” in the exchange rate. Brokers offer various deals to their traders and while the investment is your decision, you must rely on your broker to make the transactions for the trade. This article helps you to distinguish swindling brokers from honest ones. Many times, a dishonest broker gains a customer’s trust by being smart and targeting unaware people. Taking advantage of this trust, the broker can encourage their client to trade on margin and set stop loss orders which allows the market makers to close out trades almost at will during buy markets, at prices they have set. If the market maker does not offset the trader’s position, the loss generated when a stop loss is triggered becomes the market maker’s gain. Brokers charge and pay disproportionate swaps based on the gap between short-term interest rates associated with currencies pairs set by central banks. This gap is not fixed; if the broker spends the swap from the customer, it will charge more than needed and if the broker pays the swap, it will pay less than needed. When the gap is small, the customer pays the swap both ways; it will not matter if one is long or short on the pair. This mostly occurs during times of high volatility. The broker may fail to allocate your position, even if it is completely updated, at the price it quotes, and saves himself by applying a wider than usual spread on the customer. Nothing can really keep the broker from imposing a wider than usual spread to earn profit from the trader. If the broker can do this, honestly, there is not much that you can do to stop him. One way brokers trick traders is over-leveraging. The brokers are more than happy to offer larger volumes and most traders fall for these large volumes. This is not really illegal, but it takes advantage of the traders’ psychology. Traders who get attracted by larger volumes end up benefiting the broker and harming themselves. Once again, there is nothing much that you can do to prevent this from happening except making smarter choices and trusting your instincts. The broker’s liquidity providers may change prices pretty fast and the broker may simply have no choice than to execute your order at a slightly worse price. But some brokers use slippage for their own advantage and offer you to buy a currency pair at a slightly higher (or sell at a slightly lower) price than they could have. The difference is the profit they end up getting. It’s almost impossible to find a broker without slippage but you can try. Sometimes, brokers even boycott the traders and try to boycott them completely. This usually happens when a trader is receiving a significant profit. The moment your profit history becomes consistent, brokers do whatever they can do to stop you from gaining more profits through them. This may sound unprofessional and even strange but it is true. This is because in the end, a broker does not care whether his/her client benefits as long as they are profiting themselves. When you search for a broker, you will find countless web results for online brokers trying to help you out through their “unique” software technologies. Needless to say, the very sound of an online broker is fishy. These online brokers use special kinds of software that help them scam you out of your money. As mentioned earlier in the article, their main aim is to somehow transfer your money into their own pockets. With all the websites these days, this makes it easier for them to do. Customer service and support is incredibly important for any type of business, including for a Forex broker. In Forex trading, you want your broker to be able to answer all of your questions and queries. If your broker cannot respond to your messages and problems, move on. Make sure that your chosen broker has a good customer service team – if a broker does not, this will indicate that they are a cheat. If you notice any suspicious activity regarding your investments and your broker cannot (or does not even bother to) explain, then a good suggestion would be to replace him. Suppose you think a currency is heading up. You enter a position at 123.40 and you set your stop at 123.05, slightly below an obvious double bottom. Unfortunately, the trade begins to go against you and breaks down through support. Your stop is hit and you are out. This is when you might start to feel relief that you had that stop in place. Who knows how far it could drop, right? Wrong. Guess what happens next. After taking out your stop, the price turns back and heads north, just as you originally thought. This is how your broker makes his money. Bucket shops are fraudulent brokerage firms that “book” a client’s orders but never really execute them on an exchange. They are named such because these brokers put their clients’ phone-in orders in slips then drop them (the slips, not the clients) in a tiny bucket instead of actually executing. Without the real transactions, the client is actually betting against the bucket shop operators also known as bucketeers. While this article highlighted only a few traits of a Forex broker, there are many more tricks that he/she may use to scam you out of your money. 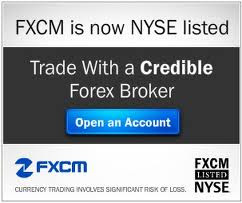 Not all Forex brokers are robbers but it is good to keep your eyes open for your own safety. The only way to protect your investments and money is to keep an open mind and make smart decisions. Always remember to research your broker’s history before you deal with him. Also keep in mind when something looks too good to be true, it usually is. And never implicitly trust someone you do not know well. I am truly pleased to read this website posts which carries lots of helpful data about forex trading, thanks for providing these kinds of statistics. If you will take the advice from epic research for Forex tips than you don't need to be tricked by Forex brokers.